# Please be aware that this is a PDF Cross Stitch Pattern only, not a finished product. No fabric, floss, or other materials are included in the listing. 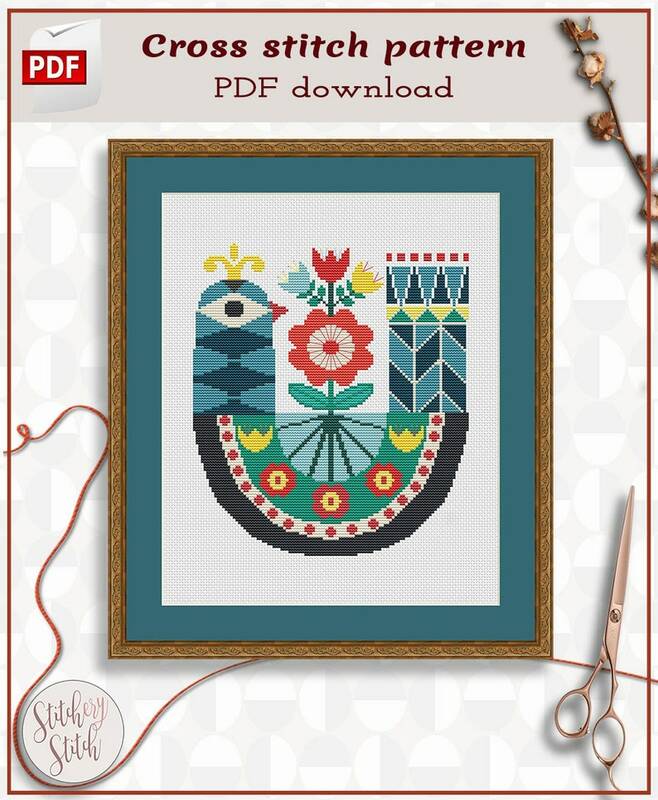 This pattern is an Instant Download and the file will be available via Etsy once payment is confirmed. # The PDF Pattern comes with basic information, a pattern in colorblocks and symbols and a list of the floss colors you will need. You receive a pattern chart split across a number of pages for ease of reading. # You will need a PDF reader to view the pattern. # Images shown are for illustration purposes only. # Patterns are for personal use only. #Please read our delivery, refund and terms and conditions of sale before purchasing. © 2016 Stitchery Stitch. Pattern for personal use only. Excellent design and very rapid service! Please feel free to contact us for any custom and personalized patterns. We will be happy to design them. Each pattern’s size is mentioned in the listing’s description. How to download a pattern? Etsy will also send you a download notification email separate from any transaction notification emails you receive from Etsy and/or PayPal.